Sophia is wonderful! She is friendly, professional and extremely talented. She made us feel comfortable when meeting her for the first time. She is personable and amicable. It’s not the easiest thing to let yourself become vulnerable and pose for pictures especially if you’re not use to having your pictures taken. 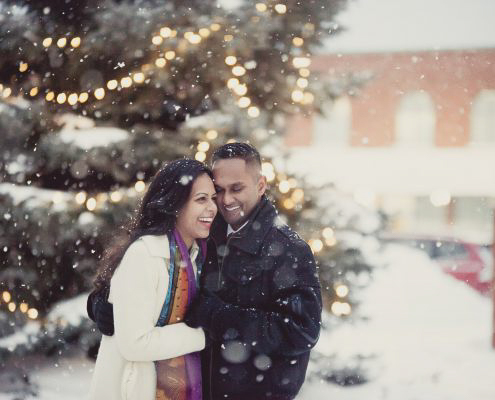 However she made capturing one of our most memorable days (proposal) very enjoyable and romantic despite the freezing end-of-December temperatures at Blue Mountain! Our pictures turned out so beautiful. The lighting was perfect and made both my fiancé and I glow. 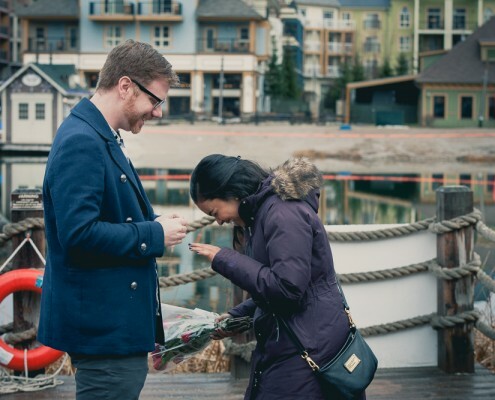 Sophia was a part of our surprise engagement this December and Blue Mountain. My fiance was looking for a photographer in the Blue Mountain area and stumbled upon Sophia. She captured our story and the moments so beautifully, and even got us some proofs that night so we could share our excitement with our family and friends. Being that I was totally surprised by all of this, her pictures created such a wonderful memory of one of the best days of my life. She was very easy going and we had a lot of fun with her. She took us to a variety of locations so we could get different shots and gave us great suggestions of what to do since neither one of us had ever been professionally photographed. We would definitely recommend her. Thank You Sophia!